The public are being warned after vodka was seized on sale – which could cause blindness or death. 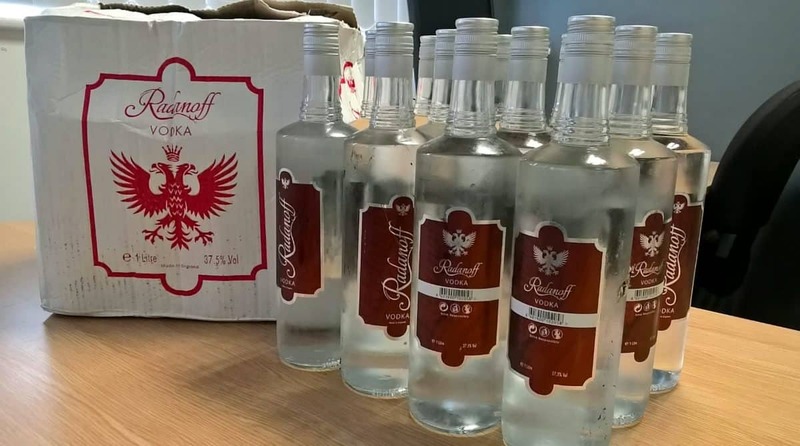 The fake brand was seized in Hull, East Yorkshire, and experts are worried it could contain industrial-strength alcohol which could lead to serious health issues. The bottles have no customs duty stamp and the barcode does not link to a real product. A tweet released by Hull City Council News said: “Warning: if you spot ‘Radanoff’ vodka for sale, do not buy or drink it. “Radanoff is a fake brand seized recently in Hull. “It could contain industrial alcohol which can cause blindness or death. “If you see Radanoff, contact Trading Standards on: 01482 300 300. “Tests are still to be carried out on the bottles seized – until those are complete there’s no way of knowing what’s in the bottles.